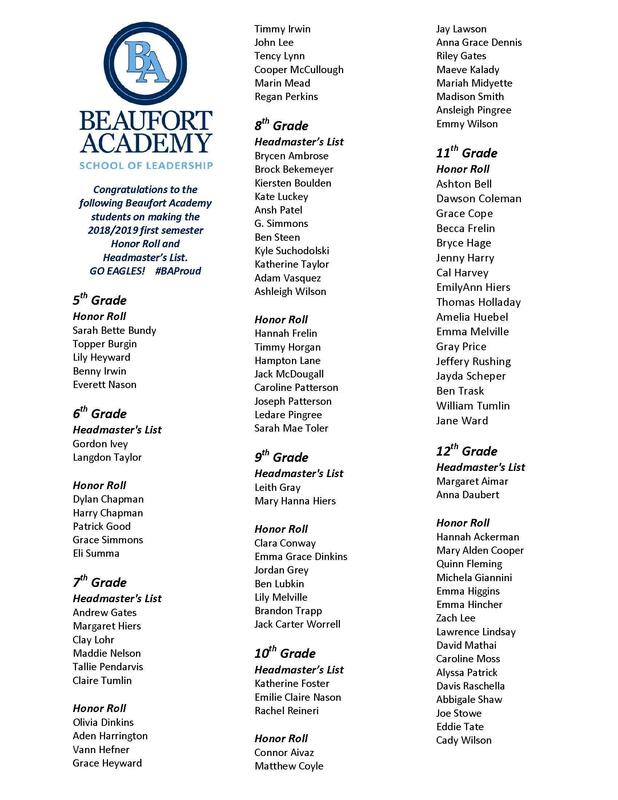 Congratulations to the following Beaufort Academy students who have made the Honor Roll and Headmaster's List for the current semester. Students who have made the Honor Roll have earned a B (80) or above in all classes. Students who have made Headmaster's List have earned an A (90) or above in all classes.